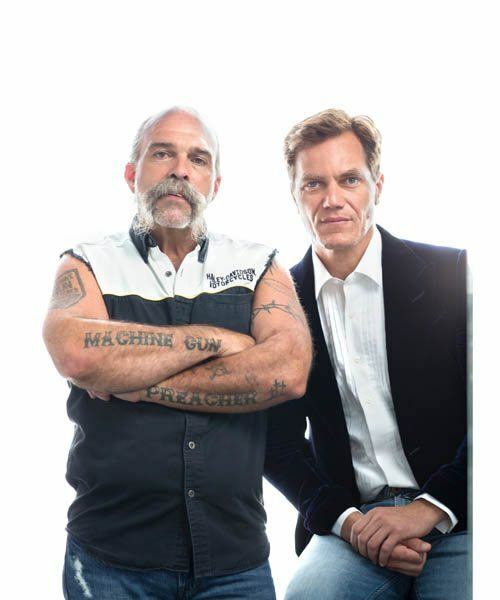 By most accounts Sam Childers life reads as a Hollywood biopic filled with dramatic twists and turns, with an unexpected outcome. Naturally, his life was made into a Hollywood film, The Machine Gun Preacher with Gerard Butler playing the lead and Michael Shannon playing his best friend Donny. Though it was not considered a Hollywood success, the movie continues to air with his compelling story told to new audiences in the US and abroad, and most importantly his work saving orphans from war torn countries in Africa continues through his organization Angels of East Africa. 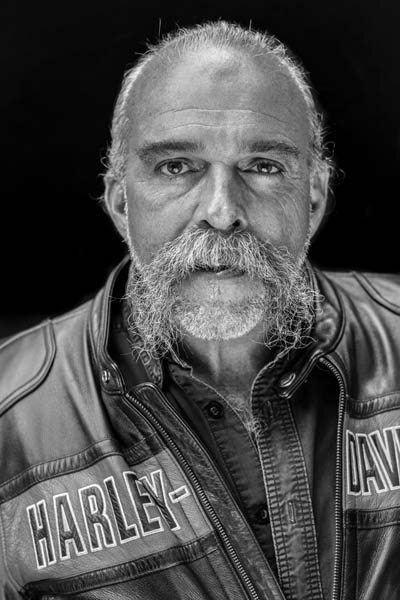 Here Resident speaks to Sam Childers on his inspirational lifelong transformative journey from self destruction to self actualization and savior. So tell me a bit about your life experiences and what had inspired you to change? I was raised in a perfect Christian family with a great mom and dad. When I was a child I wanted to be a preacher, but at 11 years old I started doing drugs and smoking marijuana, by 12 I was experimenting with alcohol, by 13 experimenting with prescription drugs, by 14 snorting cocaine. When I was 15 years old I left home and started to shoot up heroin and cocaine and had a drug addiction. By the time I was 18 I was selling drugs by the trunk load full. When I was in my 20s I became a shotgunner- a hired gun for drug dealers. I went as far off as you can go into that world. My turning point came when I was living in Orlando and involved in a bar fight which turned out to be a shootout and I almost got killed. That night I made up my mind I’m done living this life. My wife & I moved back to Pennsylvania and she started going to church with my mom. Two years later I decided to give my life to Christ, and my life changed. My business started doing well, I was a contractor and at one time owned 17 houses. After accepting Christ, I went on a mission trip to Africa and I believe that God has a way of putting in front of us what he calls us to do. We are all called but few are chosen, there are only a few willing to go all the way. God put opportunities in front of me and I had to choose one and do something with it. While in Africa I came across a small child who had stepped on a landmine and from the waist down there was nothing there. I stood over the body and told God I will do whatever it takes to help these people. At the time I didn’t realize what I was saying but 21 years later I’m still doing that. I have been a biker my whole life and I have a custom motorcycle shop which is our office for Angels of East Africa and I’m starring in a TV show coming out on A & E about the biker life. I’ve always been very good at business though I never got an education. I’ve made millions of dollars over my life and haven’t kept any of it, I don’t even have a savings account. Everything I do goes back to what I do in East Africa and its rescuing children. I spend it all feeding people, rescuing children, and running orphanages. I have seven orphanages now and serve 7,000 meals per day. There are so many things we don’t experience at in the US, which is that nobody goes hungry in the US. In East Africa the children I look after, we are their only hope they don’t have any other resources. We are big in teaching a trade, skills and education over there. The name Machine Gun Preacher was really just a brand to grab attention. We just did a rescue last week, and one little boy was saying we were wondering if the Reverend was coming and the children still talk about me. God sent me there to change a nation, to educate them and teach them a skill and a trade and we create businesses for people that come through our orphanages. I am also throwing the Angels of East Africa charity event where the proceeds will go towards completing our seventh orphanage in Ethiopia. Tell me about your friendship with Michael Shannon. I met a lot of people in Hollywood and Michael Shannon is one that is really real. I met him in 2011 and he gave me his number and said call me anytime and I’ve only texted him 5 times since. Every time he got back to me within 12 hours, and he’s kept his word. He’s an amazing actor and a true family man. Why do your peers consider you the controversial Christian? Starting from the days of Jesus Christ, anyone who was willing to help others has received criticism. They crucified Jesus Christ because he was so controversial. Mother Teresa was once blackballed from her own church. I believe anyone who is trash talked is doing something. When they don’t quit what they are doing it really means they are doing something. A lot of people thought I should give up Africa after the movie came out because success came, money came. But I decided to stay, I made a lot of sacrifices and my wife left me. I think I’ve proven to the world that I’m serious and grew from one orphanage to seven. In November 2012 I won the Mother Teresa award which is the highest award in the world for social justice, and I’m the only American to ever win this. I’m not finished, I’m 54 years old and I want to do a lot more. I don’t believe I’m a religious person, I base a lot of my teachings on Matthew 25. Jesus called it ‘The Final Judgement’ and what we will be judged on. It means giving clothes to someone who is naked, giving water to someone parched. The final judgement is about helping someone else who is in need. We all are going to leave this world. When it’s your last day on earth what are people going to say about you- are you known for self wants, of self benefits. It doesn’t matter if you are rich or poor you can always save a life and I’ve proved this with my life as I was the most unlikely to succeed. I was a bad guy and if I can change and save lives everyone can do it. It all begins with one life.If I can do it think about what you can do.